Smart TVs are increasingly becoming prime targets for malware attacks. Learn how you can protect yours with ESET Smart TV Security. 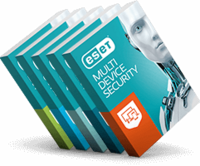 ESET Direct Endpoint Management, a new remote and monitoring plug-in, makes installation for Managed Service Providers faster and easier.